Our Syringe Gun dispensers are designed for the controlled application of pastes, gels, adhesives and fluids. A cost effective quality made syringe dispensing gun for use with standard 10ml size syringe barrels. Ideal for low volume production, re-work or repair work. A 7:1 ratio leverage for effortless trigger movement. 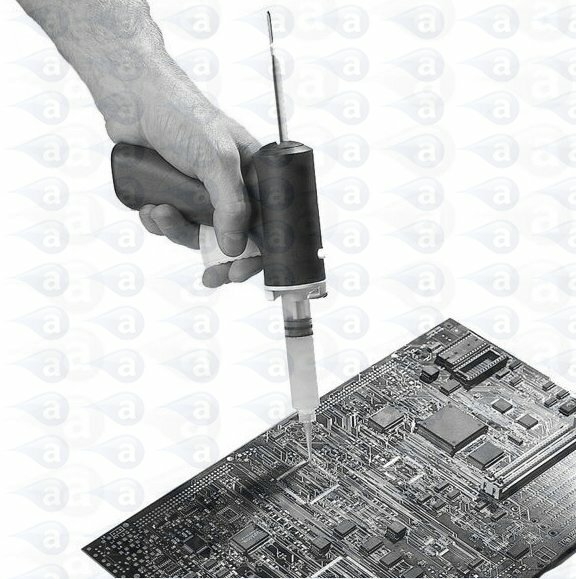 The rod moves 3mm (1/8 Inch) once pressed to provide controlled deposits without drips or ooze. Each Syringe Gun includes components and this version is supplied with: (1) dispensing barrel reservoir, (1) wiper piston, (1) storage end cap, (1) locking tip cap, (3) dispensing tips. 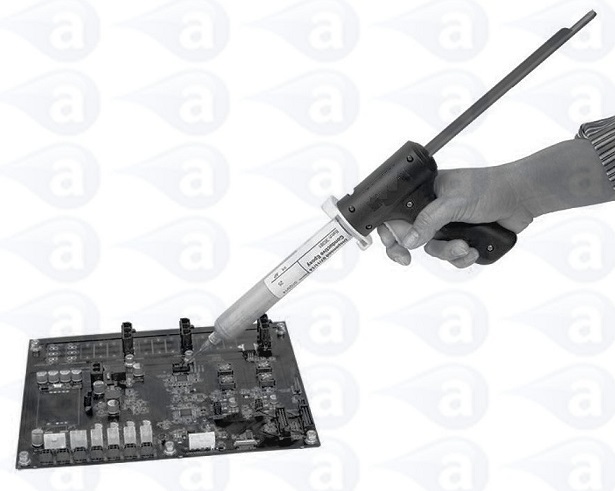 All Syringe guns ship direct from stock and include basic instructions for use. 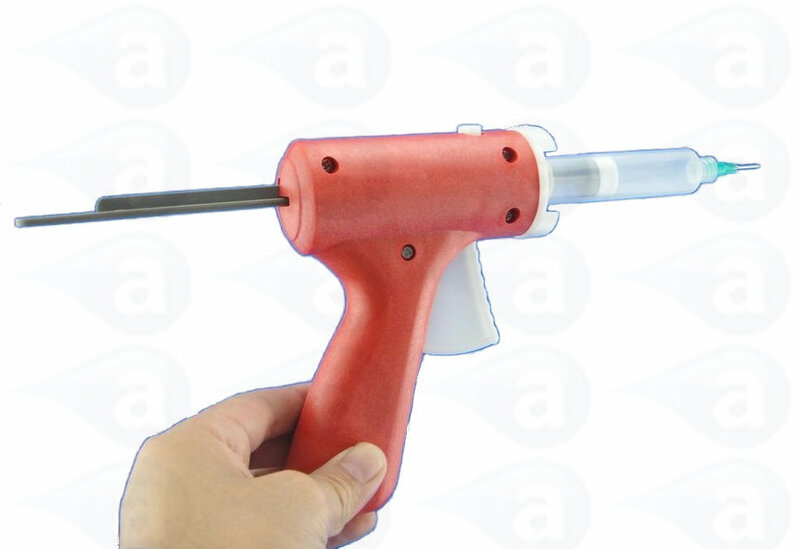 Summary: Manual operated Syringe Gun for use with 10cc size barrels. Bayonet lock secure attachment. Rod lever release. 7:1 ratio leverage to provide easy control over pastes & gels. Basic gun pnly with (1) syringe barrel, (1) piston, (1) end cap, (1) tip cap and (1) dispense tips. Summary: Manual operated Syringe Gun for use with 10cc size barrels. Bayonet lock secure attachment. Rod lever release. 7:1 ratio leverage to provide easy control over pastes & gels. Full gun kit with (20) syringe barrels, (20) pistons, (20) end caps, (20) tip caps and (50) assorted tips. The gun is supplied with (1) spare rubber O-ring in the pack. For future replacement, select the10cc size in EPR or Viton. Please contact us if replacement rods are required.